90 minutes or 3 hours. For the second year in a row, Street Scramble is kicking off our schedule with one of our favorite Seattle neighborhoods! Alki is especially lovely on a typical spring day. 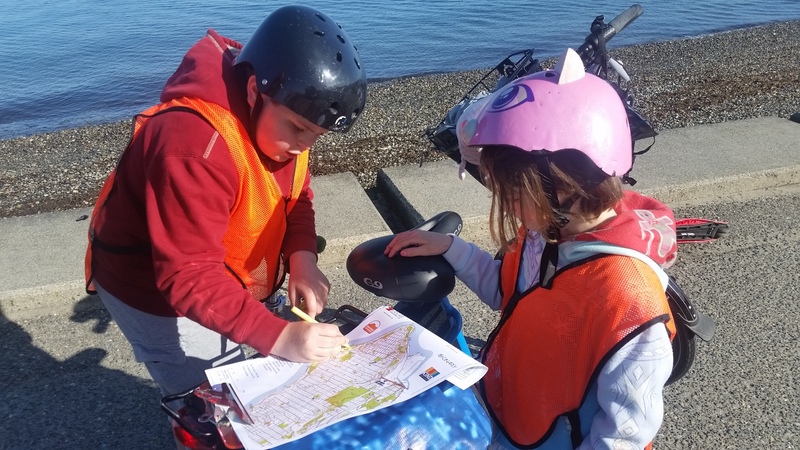 Enjoy a fun morning of exploring this beach community for hidden gems at Street Scramble Alki. Cruise along the waterfront promenade, or head up the bluff and take in great views from the hills above! Discover fun shops and restaurants, community murals, and funky neighborhood quirks as you find as many checkpoints as you can before the time runs out! Not only will this event encompass the sprawling beachfront, but checkpoints will also be sprinkled throughout less well known upland enclaves like Belvedere Park viewpoint, the bustling urban village of West Seattle Junction, and Schmitz Preserve Park—one of only two old-growth forests in Seattle! Each person must be registered separately, even if they are a member of a team. Registration closes on Friday, April 28th, at 11:59pm. Checkpoints have varying point values; this can affect your strategy! After the race briefing, everyone starts at the same time when the start is announced! A compass. This can be handy but is not necessary if you are good at keeping track of directions. Look for nearby street parking. If you are exerting yourself in warm or hot weather, remember to stay hydrated. You may wish to carry water with you. Cyclists, be extra cautious. You will be tempted to take chances. To minimize the distraction of map reading, you may wish to affix your map to your handlebars. Avoid making navigational decisions while moving. 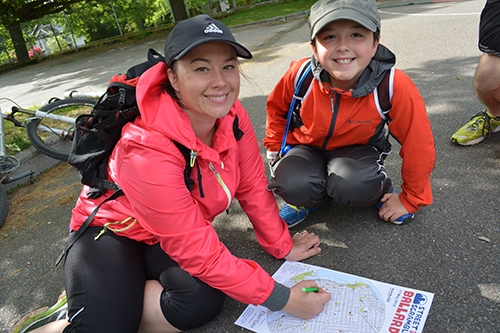 Instead, stop and plan as much of your coming route as you can keep in memory, then ride without consulting the map. If riding as a team, occupy a full lane of traffic rather than riding single file down the road. This is your legal right, and it will enable you to more easily communicate with your teammates. It will also reduce the danger of being sideswiped or doored. Cyclists, remember that our rules stipulate you follow all traffic rules at all times. This includes riding in the direction of traffic and stopping at red lights.